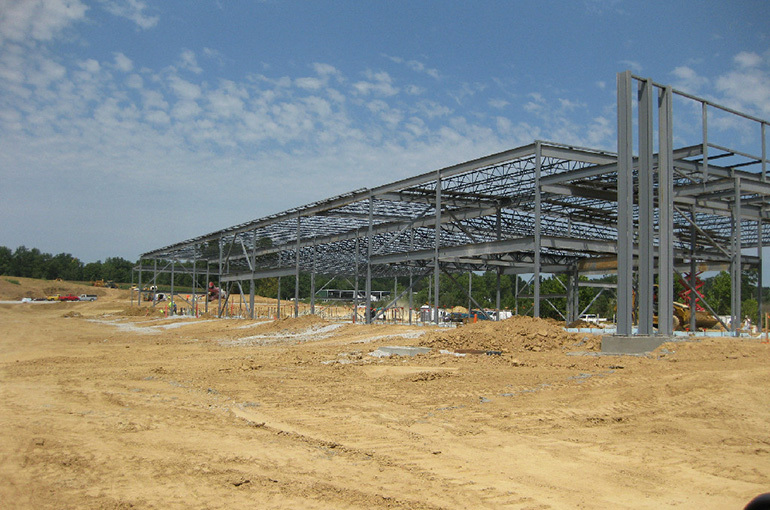 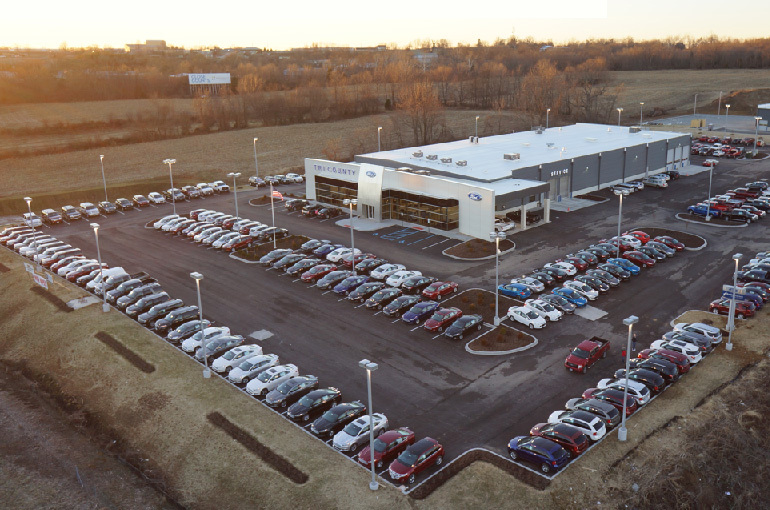 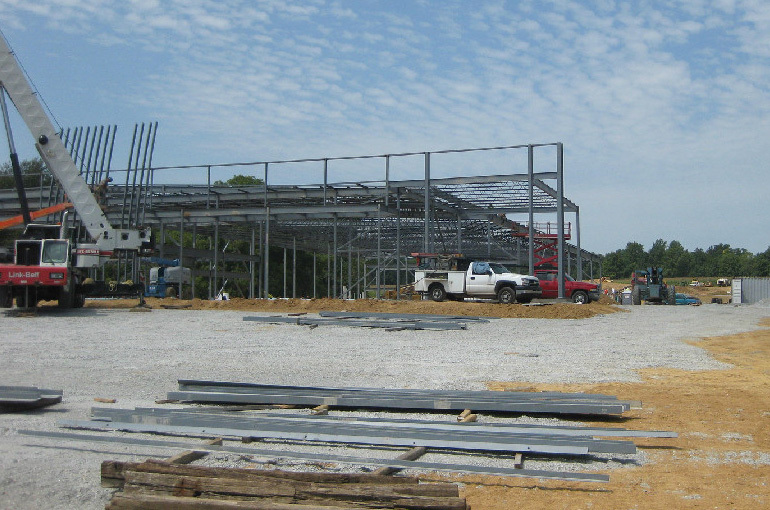 Tri-County Ford | Jeff Robards Construction, Inc. 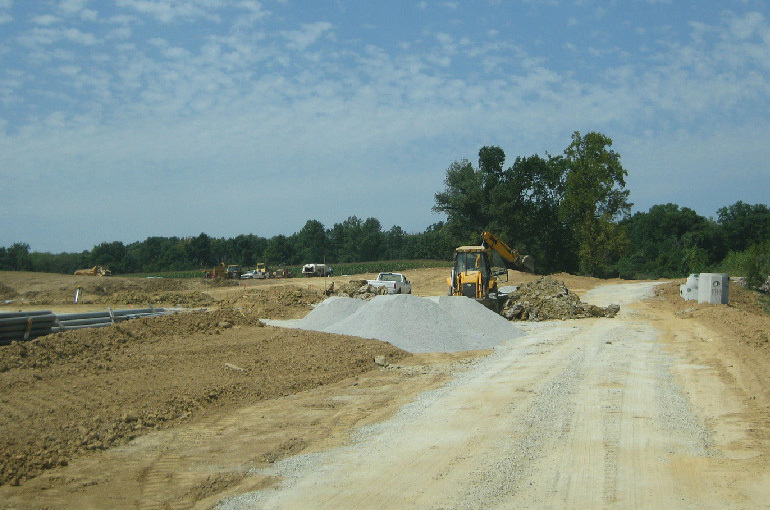 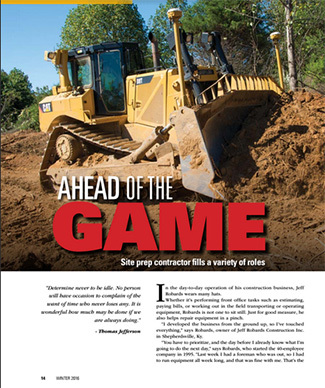 The Tri-County Ford project in Buckner, KY included clearing and grubbing site work. 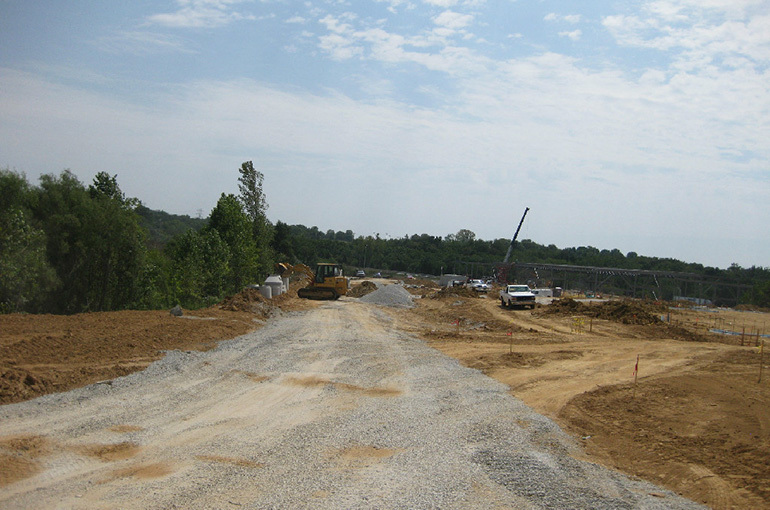 We surveyed the site, installed erosion control devices, completed earthwork, installed manholes, water mains, catch basins, headwalls, piping. 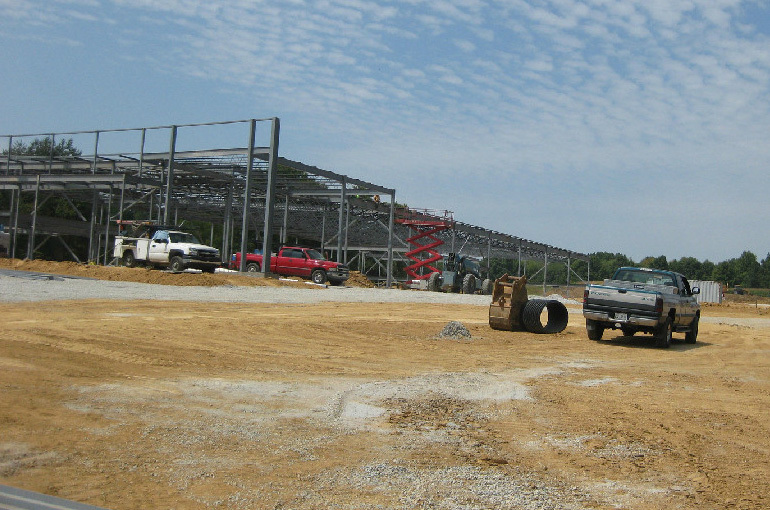 We also subgraded parking lots and roads, and conducted final testing of all utilities.